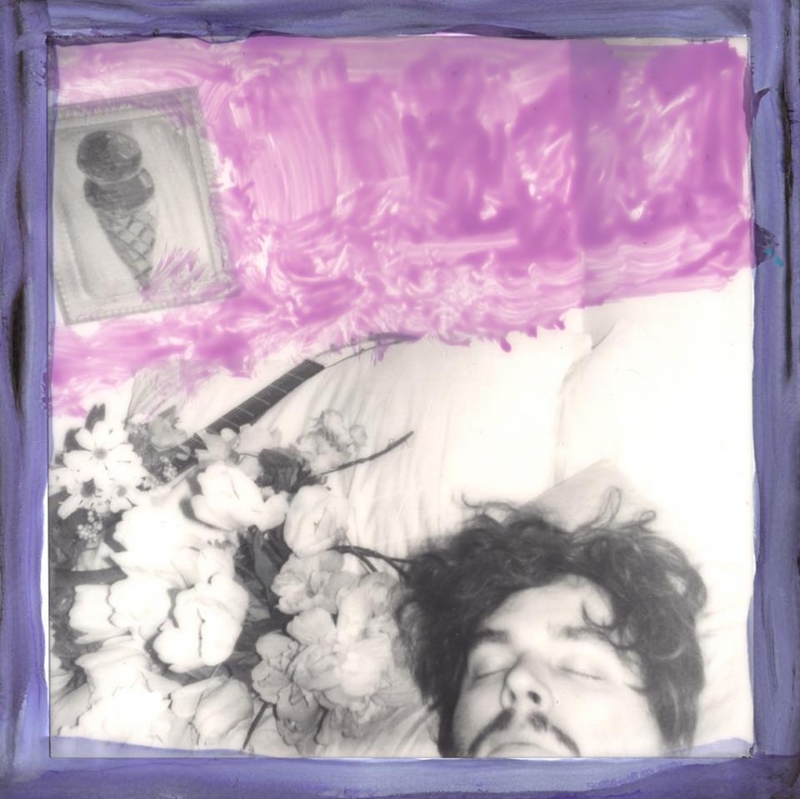 Bryson Cone dropped his song “Destination Nightmare,” and it’s every bit as dreamy and jazzy as it sounds. This song takes you waltzing on the moon while a full band, complete with holographic keytars, plays in the background. The distortion of Cone’s voice is romantic and dreamy, but also has some more serious notes. He keeps the track, and thus the audience, focused. This in turn allows for a fuller appreciation of the song’s artistry. 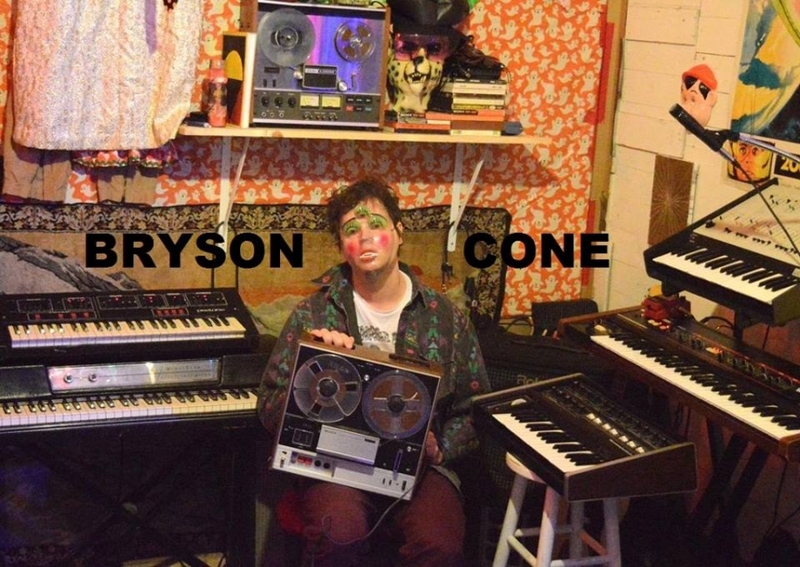 It is an intricately layered song, which makes sense given Cone’s background in mixed media and sound collage. Cone’s talent is made perfectly clear with “Destination Nightmare.” We can’t wait to see where he heads next. 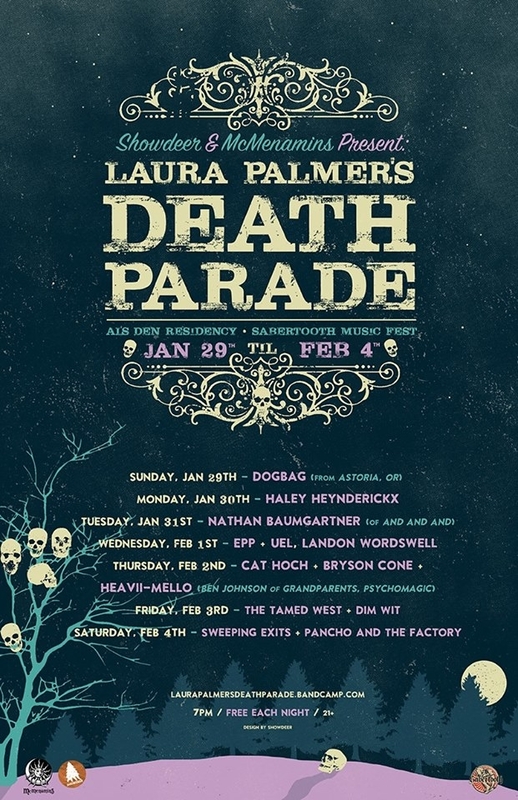 In conjunction with this weekend's Sabertooth Music Fest, Showdeer and Al's Den are hosting Laura Palmer's DEATH PARADE as their residency for the next six days. Though it technically started last night, many special guests will be joining in on the dark psych folk fun, led by the beautiful swoon of Laura Hopkins. Jetlag from their recent UK tour won't stop this trio from giving it all they've got for the rest of the week, with local favorites like Nathan Baumgartner of And And And, Dim Wit, Sweeping Exits, Cat Hoch, and Bryson Cone aiding in the excitement. See the flyer above for a breakdown of each night's LPDP pairings. Each night is free, 21+ and starts at 7pm so if you're gearing up to head out for the night, stop by Al's Den and see them tonight with Haley Heynderickx.